Sitting beside a major Roman road, mentioned in the Domesday Book 1086, and still using a church founded in 1129 with 9th Century features, Welbury has a long established history. However, the village is not especially endowed with historical celebrity. Rather, its character is genuinely ordinary, of its quiet agricultural type, concealing the life of people through the ages of dramatic political, economic and physical change. Details of Welbury’s history, both archival and social, including fascinating reminiscences of its recent past, are recorded in a 300-page hardback book undertaken as a millennium project. The preliminary pages, including publication details, introduction and contents, can be seen here. 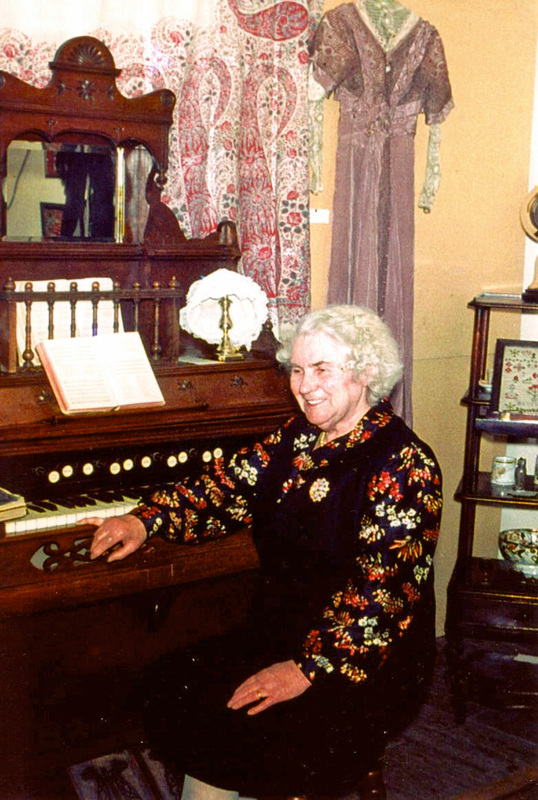 Mrs Mary Boyes (1898 - 1977) was a central figure in local life. Her careful and observant records through times of great change were the inspiration for the book. Her own text, recorded in exercise books, is reproduced unaltered, in Part II of the book. Her picture forms the frontispiece and appears here with permission of photographer John Ovenston. The Welbury book was distributed free to residents in 2000 and retails at £25, or locally at £15 from Mike O’Carroll. Part III of the Welbury book gives short histories of the adjacent villages of Appleton Wiske, Deighton and the Rountons. A 150-page hardback brief history of The Rountons retails at £15 (£10 locally) and is available locally at £10 from Mike O’Carroll (Welbury), Derek Lawton (West Rounton) or Martin Brown (East Rounton).